SuperEx – Why to uninstall? SuperEx is a deceptive application which usually enters computers without permission. As research has clearly shown, the method it uses to enter computers is called bundling. When it is already installed on the computer, it immediately starts generating the commercial content. More specifically, users see pop-ups, coupons, banners, and other similar advertisements. 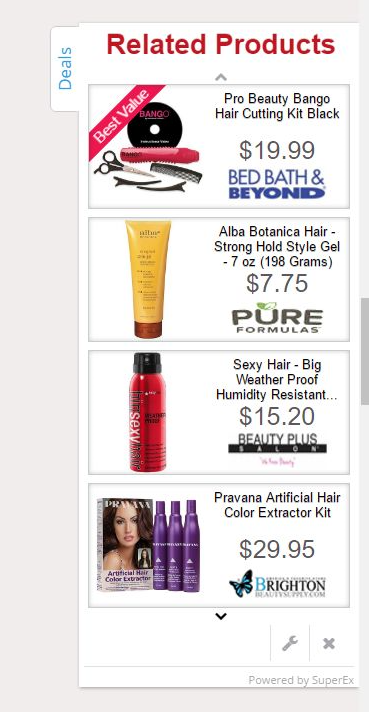 These advertisements might cover websites, so users have to keep closing them to look what is underneath them. This is extremely annoying and might diminish the browsing experience to a great extent. Actually, the presence of irritating ads is one of the reasons you should go to remove SuperEx today. Adware programs are usually not that hard to erase, but users still have to put some effort into the SuperEx removal. Believe us, it is worth it. As you have already been told, SuperEx distributes all kinds of commercial advertisements thus decreasing the Internet browsing experience to a great extent. Unfortunately, it is not the only problem associated with these advertisements. It has been found that they might also expose users to potential threats. Advertisements shown by SuperEx will not start downloading malicious software if you ever click on any of them, but they will definitely redirect you to third-party websites. There is no information about these third-party websites, meaning that users might be taken to any kind of pages, even those that are untrustworthy and promote bad applications. Users, of course, do not know that they land on harmful websites, so they continue surfing them and often infect their computers with malicious software. Do not worry; you can still prevent malicious software from entering your PC by going to uninstall SuperEx from the computer. It is advisable to delete SuperEx as soon as possible also to make sure that it can no longer track you and record all kinds of information about you with the intention of selling this information to third parties. How did SuperEx manage to enter my computer? You could have found an official website of SuperEx and downloaded this program from there; however, this adware, as malware experts have found, usually comes bundled in software bundles. Bundling is the commonly used distribution method to spread all kinds of suspicious programs, from adware to browser hijackers. Cyber criminals use this method to spread software so that they could reach more users. Install a security application on your computer to make sure that untrustworthy applications cannot end up on your PC ever again. How can I delete SuperEx? If you have made up your mind to implement the SuperEx removal, the first thing you should do is to go to check Control Panel. In case you find a suspicious program, delete it without consideration. If advertisements shown by SuperEx keep appearing on the computer after doing that, you should take action again. In this case, it would be smart to let an automatic tool to delete SuperEx for you. You will not need to do anything yourself except to launch the scanner to remove SuperEx from the computer.